We end the year with A “Pearly Picks” Christmas Under the Sea by Taryn Arakaki. This one won the Mayor’s Holly Award at the 2015 Holiday Wreath Contest and is one of the most detailed and beautiful wreaths on display. This ends our holiday series and the year. Its been another great year. Thanks to all of you who have viewed and commented on the blog. I’m looking forward to continuing this in 2016. Here are a couple of my favorite wreaths. Above is Beethoven’s Christmas by Marchall K. Fergerstrom and below is the Pearls of Wisdom by Hawaii and Pacific Section of the Hawaii State Library. 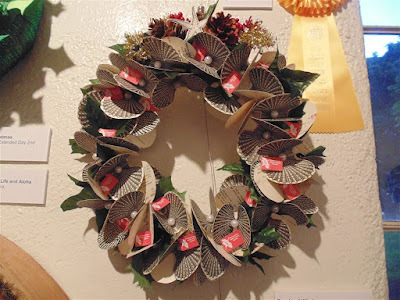 This wreath also won the Judges Choice at the 2015 Holiday Wreath Contest. I like how along with the pearl in each oyster there is a library card. Here is bonus double feature. 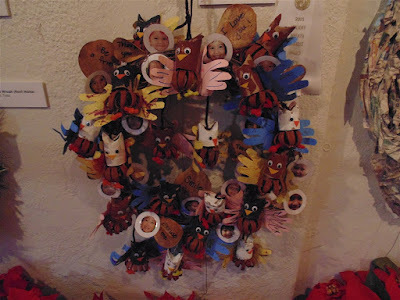 The top wreath is called “Pears of Wisdom: Everything We Need to Know We Learned in Preschool” by the Pueo Twhoos program at the Early Education Center Seagull Schools. 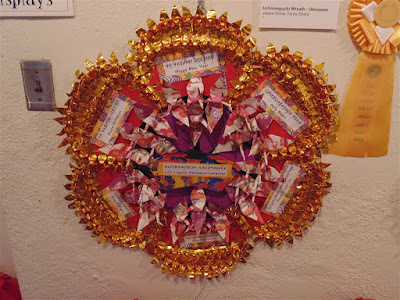 This wreath won third place in the 2015 Holiday Wreath Contest Youth division. 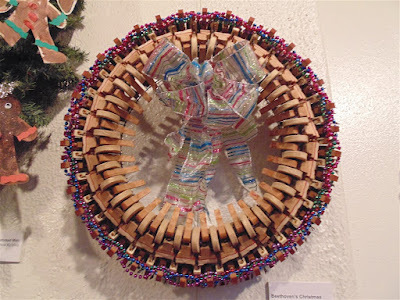 Below is the colorful Okinawan Uchinaaguchi Wreath by Janice Kimue Toma Shira. 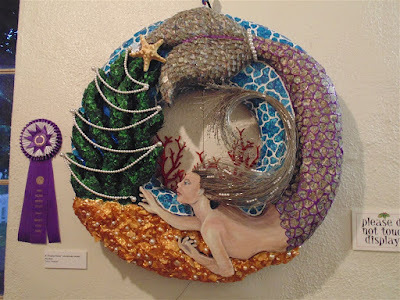 It won the Judges Choice award in the 2015 Holiday Wreath Contest.